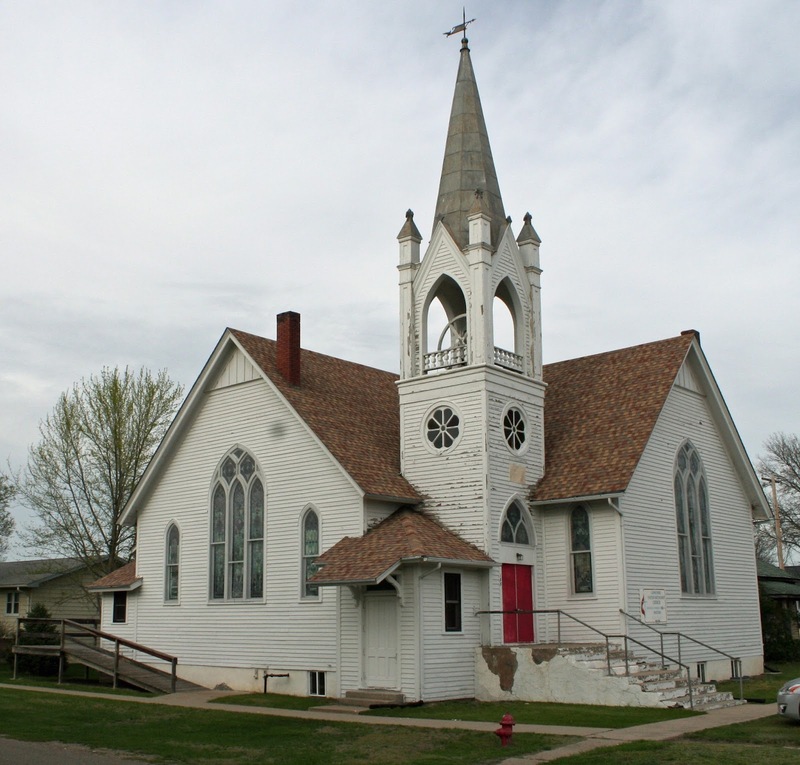 The Methodist Church in Long Pine, Nebraska was established in late 1881 or early 1882, shortly after the townsite was platted. From the very beginning, the wider community has contributed to the wellbeing of the congregation. 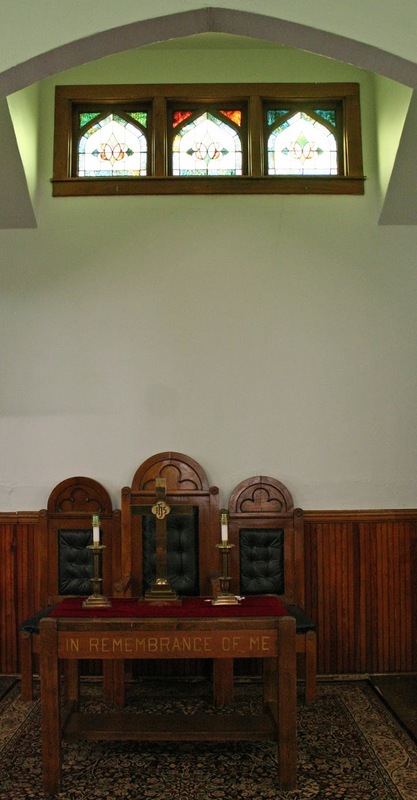 For about four years, the Methodists and Congregationalists shared a temporary worship space on Sunday mornings in Skinner Hall, a meeting room located on the second floor of the Charles Clift Cafe. The Methodists held services in the mornings, while the Congregationalists used the space in the afternoons. During this time, a Community Ladies Aid group was formed for the purpose of raising funds for permanent homes for both congregations. The revenue from their various fundraisers was split equally between both churches. Thanks to the generosity of this group and others, the 87-member strong Methodist Church proudly dedicated its first church building on July 18, 1886. Almost 21 years later, on July 6, 1907 this structure was destroyed by a tornado. Undaunted, church members purchased a new site and quickly began building the present structure, which was dedicated in 1908. This new church was given the formal and somewhat unwieldy name of "The Melvin W. Eighmy Memorial Church" in honor of the late son of the minister at the time, Rev. Philip Eighmy. Today, the church building is simply known as the "First United Methodist Church." Long Pine's First Methodist Church shortly after its construction. We received your letter and the book for which please accept our thanks. We dedicated our new church last Sunday, Sept. 6, 1908. It cost six thousand dollars. We raised the sum of one thousand dollars which clears our indebtedness. We have a beautiful church. The window at the right as you enter is your window. It is fine. All of the windows were sold and are memorials. Yours to your godly parents "Daniel M. and Clarissa Bradstreet." The audience room is raised, floor seated with opera chairs, and is very pretty and comfortable. We have a fine pulpit and three pulpit chairs. The house is beautifully lighted. 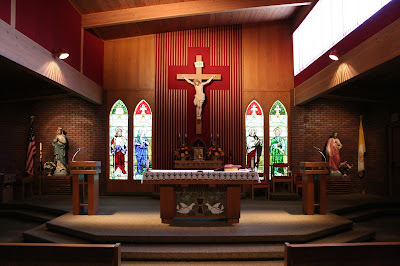 I send you a card with the picture of our church. On the right is the parsonage. The marble slab over the main entrance is inscribed: "Memorial Melvin W. Eighmy Memorial Church, 1908." It is in memory of our only son now deceased. 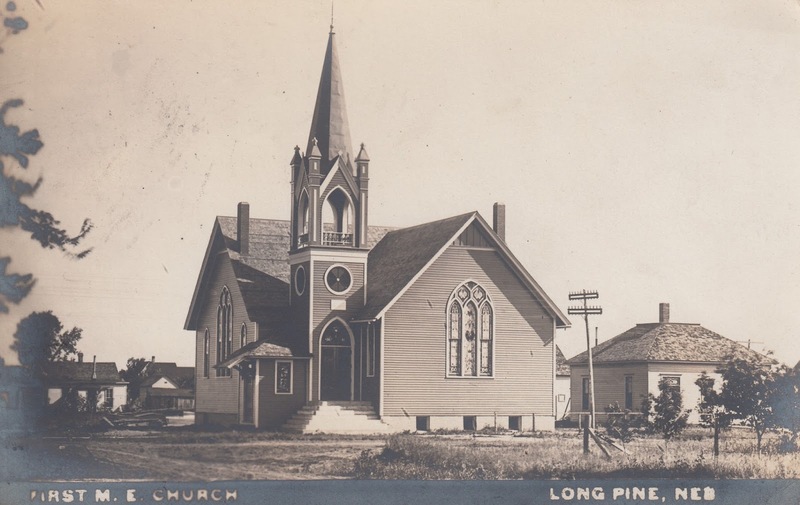 A postcard of the First Methodist Church in Long Pine, dating from shortly after its dedication in 1908. This is likely the image referenced in the above letter. Writing about two years later, Rev. Eighmy reflects on growing up without a mother, the goodness of God, and his own accomplishments. He also speaks of his upcoming retirement and move to San Diego, California. The Long Pine First United Methodist Church as is presently appears. Referring to my mother, I never saw her to know her. She died May 22, 1839, your Aunt Affa; I was bom April 9, 1839 and have never known what a mother was. But God has been good to me and I love Him. His goodness is great. 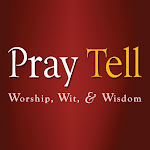 For thirty years I have been in His ministry, six years of that time a presiding elder. I was two years in the Nebraska Legislature ; and served one year as Chaplain of the Grand Army of the Republic of the state of Nebraska. In 1904, I was elected a delegate to the General Conference held at Los Angeles, California. I have tried to do what has been committed unto me, faithfully, and God's hand has led me, motherless, step by step, onward. I am old now, Mary, but answer calls to preach, to fill vacancies, and funerals; am class-leader in our home church, pay on the salary and benevolences, and cherish a hope to meet that lost mother, sometime, somewhere. The interior of the church has changed little since its construction. We hasten to write to you before we leave for the Pacific coast permanently. We are selling out our effects here; have sold five of our six houses. We do not expect to sell the land this fall before we go. The lease will hold five years' cash rent, subject to sale. Our ranch of eight hundred acres is southeast of Long Pine. Our golden wedding will be April 8, 1911, if we live so long. I am seventy-one and Dorinda will be seventy on Aug. 17, 1911. We came to Iowa in 1867; bought land; came to Nebraska in 1893; sold the Iowa land at a good profit; and bought Nebraska Land. Now, dear cousin Mary, we have had a little farewell visit with you on paper, and gone over the past. The wide but lofty nave of the church brings worshippers close to the altar and pulpit. Following the construction of the church, a parsonage was constructed in 1910 to the east and a community hall was completed in 1924. Both of these structures were sold in 1974 and 1941, respectively. The membership of the church has declined over the years, along with the rest of the community. Long Pine's economy had long depended largely upon the significant rail-yard that existed there from 1881 until the late 1950s, when passenger rail service was discontinued. Shortly afterwards, the roundhouse, shop, and stockyards were demolished, eliminating many jobs. 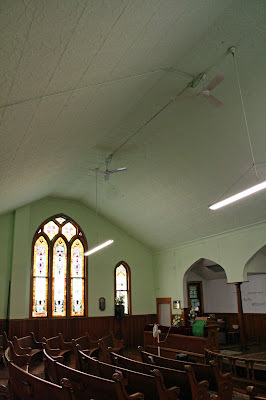 The sanctuary of the Long Pine United Methodist Church. 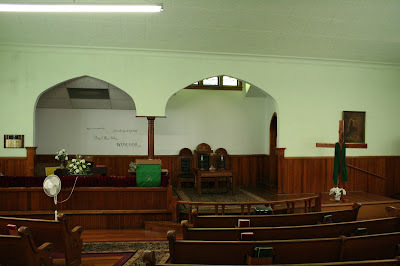 The three pulpit chairs are original to the building. 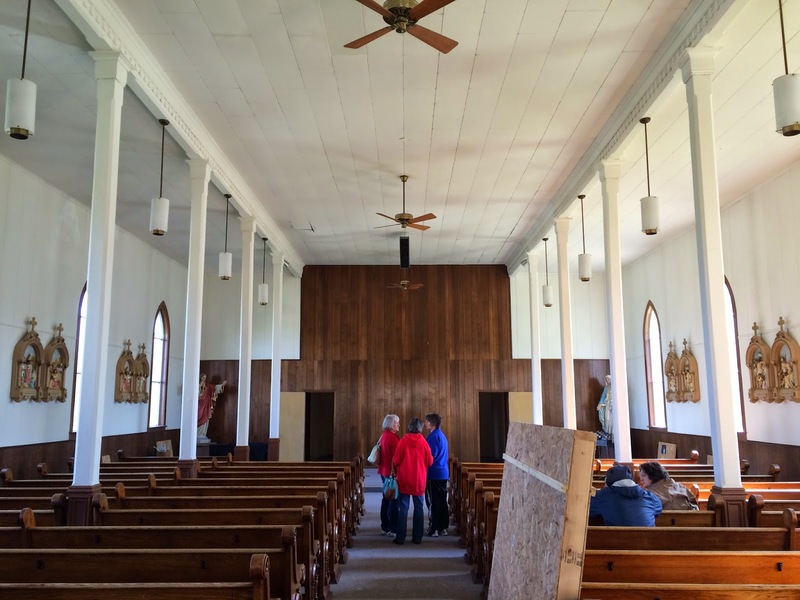 Thanks to the assistance of various United Methodist aid groups, major repairs have been undertaken over the past several decades and the building remains in relatively good repair given its small congregation. Long Pine's First United Methodist Church stands as the quintessential small-town Protestant church: white clapboard exterior with a corner steeple, windows and bell tower vaguely inspired by gothic architecture. The interior is marked by utmost simplicity, but with a stateliness that comes from high degree of craftsmanship. 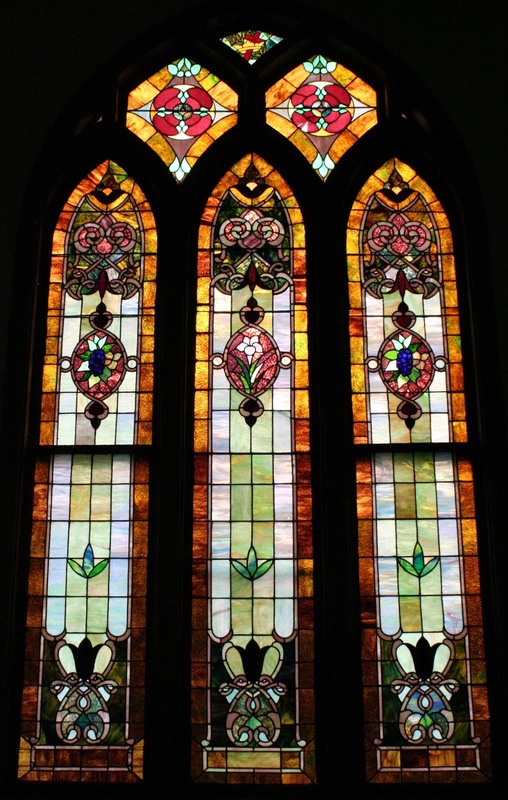 One of the three large stained glass windows that dominate the church building. This church holds a special place in my my memory and identity. My grandmother, Mary Jensen was assigned as pastor here from 1997 until her retirement in 2008. I remember being warmly welcomed into worship by this small but joyful congregation of about a dozen people. Since grandma's retirement in 2008, the congregation has been without an assigned pastor. The congregation has since enlisted the assistance of a very part time minister who travels 135 miles one way to lead Sunday worship during the warmer months of the year. Adele Helmershausen, The Life and Works of Mrs. Mary Bradstreet Helmershausen. Chicago, IL: Manz Engraving Corp., 1940. 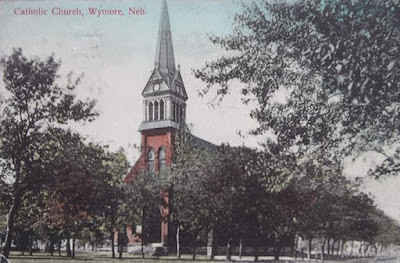 The beginning of Saint Mary Catholic Church in Wymore, Nebraska is intimately bound up with the history of Wymore itself, which was platted on May 21, 1881. Shortly thereafter, Wymore found itself at the junction of the Burlington and Missouri River Railroads, resulting in the rapid growth of the community. Father A.C. Rausch of Table Rock paid a visit to the community in 1881 and was clearly impressed. He requested to transfer his residence from Table Rock to the booming new community of Wymore. Masses were celebrated in the homes of various parishioners until 1882, when the number of Catholics made such an arrangement unfeasible. Even though the town was growing, Father Rausch acknowledged that these pioneer families were struggling to become established, so in 1882 he purchased 3 lots and constructed a combination church and rectory using his own funds. At this time, the parish became known as Saint Mary's. The exterior of the 1892 Saint Mary Church, Wymore as is appeared shortly after completion. In 1885, the parish outgrew this small chapel and began construction on a larger, wood frame church which was completed in the fall of 1886. Again, the parish continued to grow and new lots were purchased in 1891 for a new brick church which was dedicated on December 18, 1892. 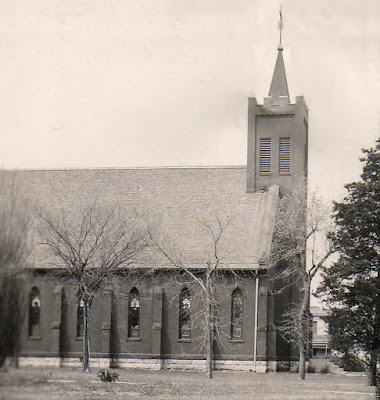 The exterior of 1892 Saint Mary's, circa 1940s. The tower was likely shortened in the 1939 renovation. 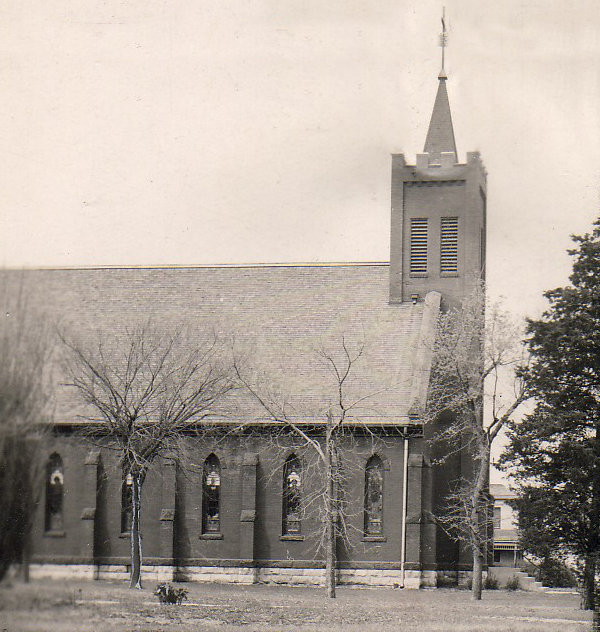 The 1892 brick church would see many renovations over the years, particularly in 1939 and again in 1954. 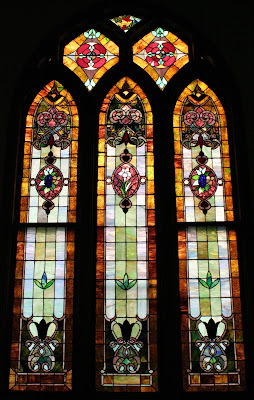 Later, on June 15, 1957, a severe hail storm tore through the community, resulting in the complete destruction of many of the church's stained glass windows. 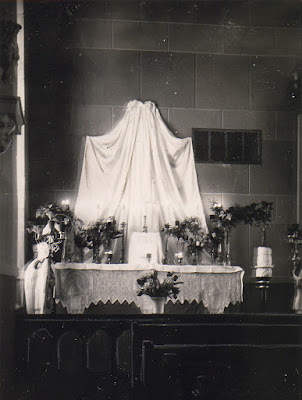 The Holy Thursday Altar of Repose in the 1892 Saint Mary's Church. Photo taken circa 1940s. 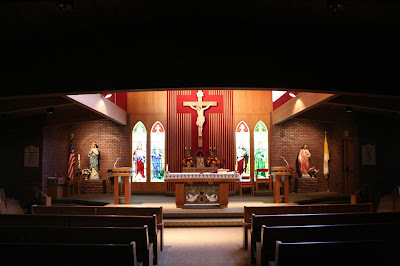 A new parish hall was completed and blessed on September 15, 1974. By this time, the brick church had developed significant structural issues and was demolished on April 4, 1978. The parish hall served as a temporary church until the parish's fourth and present church was completed. Construction of the present church, designed by architect John Forman, began on October 24, 1980 and was dedicated by Bishop Glennon Flavin on July 26, 1981. 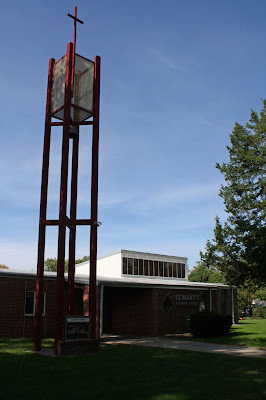 The steel, rectangular bell tower housing the bell from the previous church is reminiscent of the many grain elevator legs that dot the area landscape. The interior of the present church building is very successful in its integration of old and new elements. The slender gothic windows and plaster statuary of the previous church find a natural fit amongst the simple, clean lines of the interior. Another outstanding feature of Saint Mary Church is its use of light. A large clearstory floods the sanctuary with light, while the low-slung nave area dark and contemplative. This feature gives visual prominence to the altar and an interior mood that changes dramatically depending on the weather and the time of year. Perhaps the most notable thing about Saint Mary's is the feeling that the church simply belongs in the place where it's at. It's not particularly ornate; its beauty comes from its subtlety, much like the landscape of the area. The bricks of the interior echo the large clay deposits found to the west near Endicott and the wood is reminiscent of the cottonwood groves lining the Big Blue River just east of town. It's a space that is at once holy and homey. The fact that the interior has endured for 35 years without any significant alterations is significant. The familiar faces of elaborately-clad stained glass saints stand as a proud and tangible connection to a past that continues to inspire new generators of parishioners. 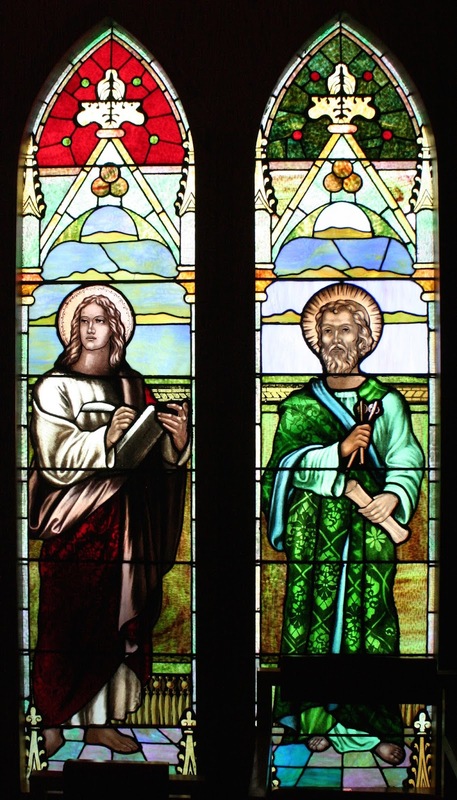 The Apostles Saint John the Evangelist and Saint Peter stand on the right side of the sanctuary. 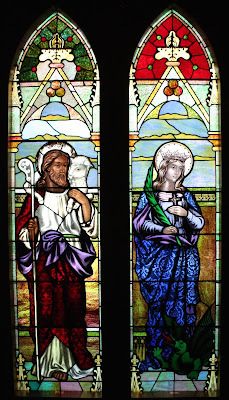 Christ the Good Shepherd and Saint Margaret of Antioch watch over the left side of the sanctuary. Sister Loretta Gosen, S.PP.S, History of the Catholic Church in the Diocese of Lincoln, Nebraska 1887-1987. Marceline, MO: Walsworth Publishing Company, 1986. Located on the very east end of town, with a great view of the rolling Flint Hills beyond, the very modest St. John Catholic Church in Hamilton, Kansas is evidence of a parish that has always been small, but faithful. It appears that both the parish and church building trace their origins to the same year of 1898. The building was little more than a roof over worshipers' heads, and improvements to the structure came slowly over the years. Most dramatically, the nave was lengthened by ten feet in 1912 in order to accommodate a confessional. The discovery of oil in the area brought a brief influx of parishioners and resulted in an unusually large confirmation class of 20 in 1928. Evidently, the church building was once topped by a small tower, which was removed sometime after 1938. At this same time, the interior was also thoroughly refurbished. As a side note, I didn't have a chance to visit Holmes Sundry, but I wish that I had! Mary K. Peltzer and Fr. Michael Peltzer, editors. The Catholic Diocese of Wichita Commemorates Its First 100 Years. Topeka, KS: Jostens Publications, 1987. The early Polish Catholic pioneers who settled south of the Middle Loup River near Rockville, Nebraska found it difficult to practice their faith with no church nearby. On Saturday evenings, Catholic families would board the train at Rockville and ride to Loup City, where they would attend Mass on Sunday morning, and return home in the afternoon. Occasionally priests from Grand Island would also visit the area to celebrate the sacraments. This haphazard arrangement could not last, and the early settlers decided to send one of their strongest leaders, Joseph Roszczynialski(!) to plead their cause to the priests in Grand Island. Their request for a permanent church was forwarded to Bishop Richard Scannell of Omaha, and the bishop granted permission shortly thereafter. Roszczynialski himself served as the architect and chief builder of the new 300-seat St. Mary of the Holy Rosary Church and also designed and built its high altar. It's likely that Roszczynialski served as the architect for several other Polish Catholic churches in the area as well. Construction of the 40 x 92 foot Rockville church began in the spring of 1908 and progressed rapidly. The cornerstone was blessed on May 9, 1909 and by October 20th of the same year, the church was dedicated by Bishop Scanell. 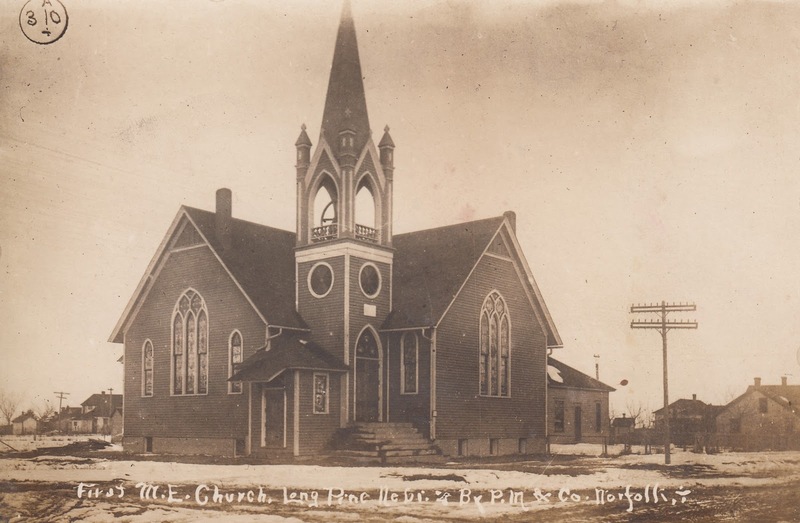 At various times from 1910 to 1918, the parish found itself as a mission of either Grand Island, Loup City, Farwell, or Paplin. Desperate for a more consistent life of worship, parishioners built a rectory in 1911, but seven more years passed before Rockville received its first resident pastor. Even with a new rectory, Rockville only managed to secure a resident pastor for eight years, and in 1926 Rockville again became a mission of Farwell. 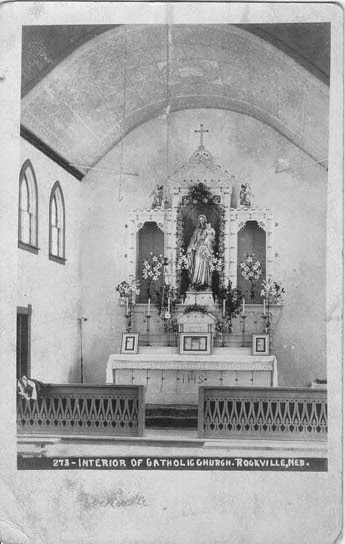 St. Mary remained a mission of several different area parishes throughout the rest of its history. 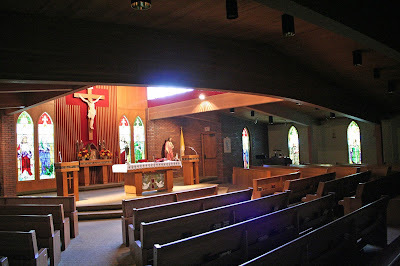 Various modifications were made to the church building over the years, including the addition of electricity in the early 1920s, a lowered ceiling and sanctuary renovation in the 1950s, and another sanctuary remodeling in the 1970s. In 1978, the bell tower was struck by lightning and repaired by simply capping the tower at the roofline. The former church's bell now resides at the nearby St.Mary Cemetery. In many ways, the present day situation for Rockville Catholics is not so different than that of their forebears. 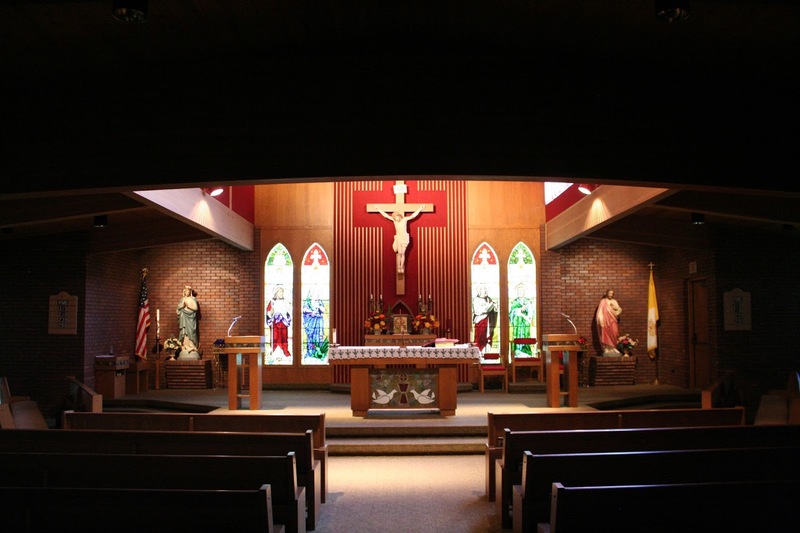 In 2006, St. Mary was clustered with five other area parishes, leaving Rockville with Mass only four times per year along with the occasional wedding or funeral. Parishioners dispersed to various surrounding communities for the regular celebration of the sacraments and religious education. 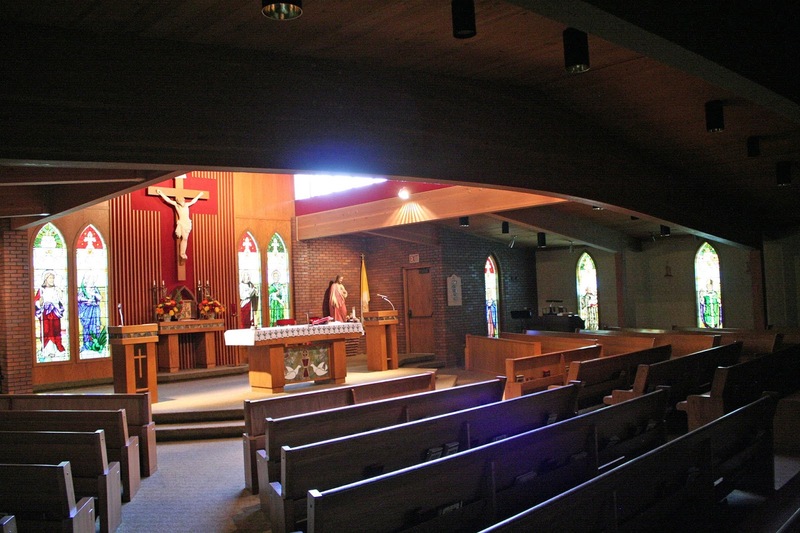 The parish held it's final Mass on August 24, 2014 and the church building and its remaining contents were sold at auction on October 11, 2014. In an unfortunate twist of fate, a radical traditionalist group calling themselves the "The Religious Congregation of Mary Immaculate Queen (CMRI)" purchased the building for $16,000. This non-Catholic group has no affiliation whatsoever with the Catholic Church and believes that there hasn't been a legitimate pope since 1958. For more information about this group, this article features the insights of nuns formerly associated with them. Jim Graves, “The Return to Rome, Five Years Later,” The Catholic World Report, 19 October 2012, accessed 29 January 2014. Janis Lewandowski, "Rockville church remembered as 'little parish that could,'" West Nebraska Register, 10 October 2014. Mary Parlin and Colleen Gallion, comps. 100 Years of Faith: The History of the Diocese of Grand Island. Grand Island, NE: West Nebraska Register, 2012. 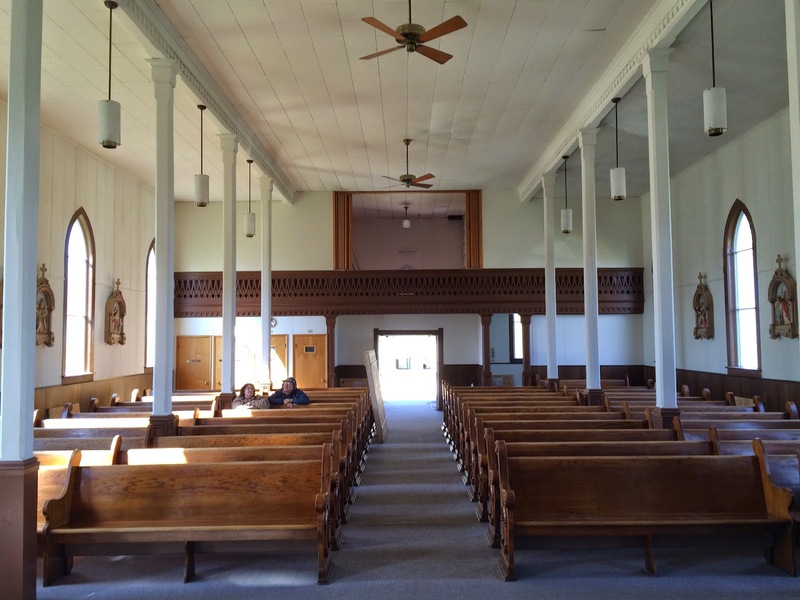 Lauren Sedam, "Saying final goodbyes to St. Mary’s," The Grand Island Independent, 10 October 2014.